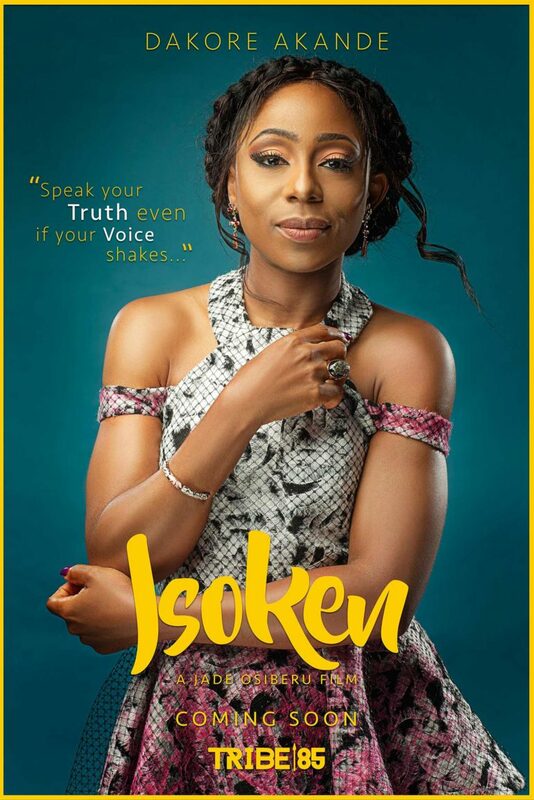 Sandwiched between a relationship that seems conventionally desirable and perfect with more enviable prospects—and another that departs from societal expectations and acceptances filled with looming joy and uncertainties, Isoken, played by Dakore Akande had to make an onerous choice in Jade Osiberu’s lead-titled debut film, ISOKEN. It wasn’t just the huge disparity in the sort of relationships Isoken found herself that burdened her choice, she was also perched against her own contentment and that of society, especially her drama-filled family. 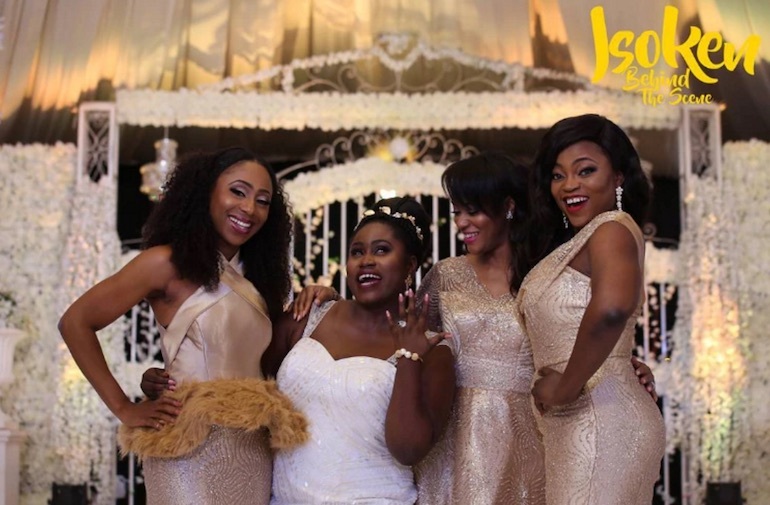 The film starts with the usual Nollywood build up, introducing us to Isoken, a 34-year-old successful single woman and her hysterical single friends, Agnes played by Funke Akindele, Kukua played by Lydia Forson and the married but miscarriage suffering Joke, played by Damilola Adegbite. Soon the relationship drought ended for Isoken and she found herself brewing in the love pot of Osaze, the most eligible bachelor of her time, played by Joseph Benjamin and the super hilarious white expat-Kevin played Marc Rhys. In-between the build-up of Isoken’s relationships with the two men was the festival of laughter —mostly assembled on the back of Kevin’s “Lagos boy” frolics and the conversations of Isoken’s ‘crazy’ friends. Confronted with a decision to make a lifelong pick, Isoken initially jumped on the social conformist train, without saying yes and yet settling for what she was expected to, by her family and friends. With time, it became not just a battle between two men, but self and ideas—bothering on standing up to society and taking the unconventional path to contentment or settling in like everyone for the apparent outcome of despondency. On the back of excellent talents, particularly the brilliant performance from Kevin, ISOKEN succeeds in dishing out different layers of laughter—but sometimes shoddily routs that with vapid comedy. For instance, it was extensively preposterous that the film attempted to erect laughter in Isoken’s kitchen, asserting that the educated cosmopolitan woman suddenly could not read and distinguish between a fully branded washing starch powder and the one used for cooking, leading her to pour a washing powder into her food. As a debut film by Jade Osiberu, ISOKEN is brilliant with its romance and comedy synthesis—keeping to its romantic plot coated with comedy and not presenting dozens of detached comedy chops—the hallmark of many Nollywood romantic comedies.